When looking at these decorations, they immediately receive the shape of mystery maps revealing unknown places. They become a visualization of a secret landscape or an imaginary place. The reason that we see those unknown images and connect them to maps might be the language that was used in the design of the decorations. The use of red broken lines and empty dots, above a white background, connect us to the visual language of the Metro maps, but also to childhood treasure maps that uncover precious secrets. 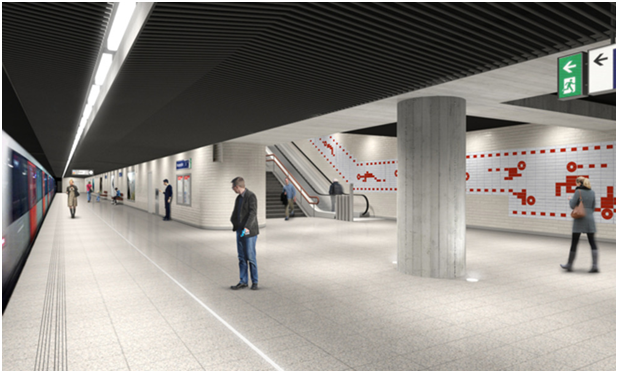 Knip described that the Metro designs were inspired by childhood experiences. The Metro stations can perform as a universe on their own. 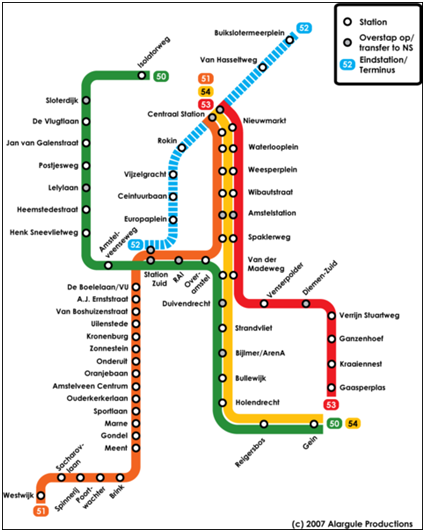 When we look at a Metro map, we find out it is very much composed by straight lines, even though the path in fact is not straight. 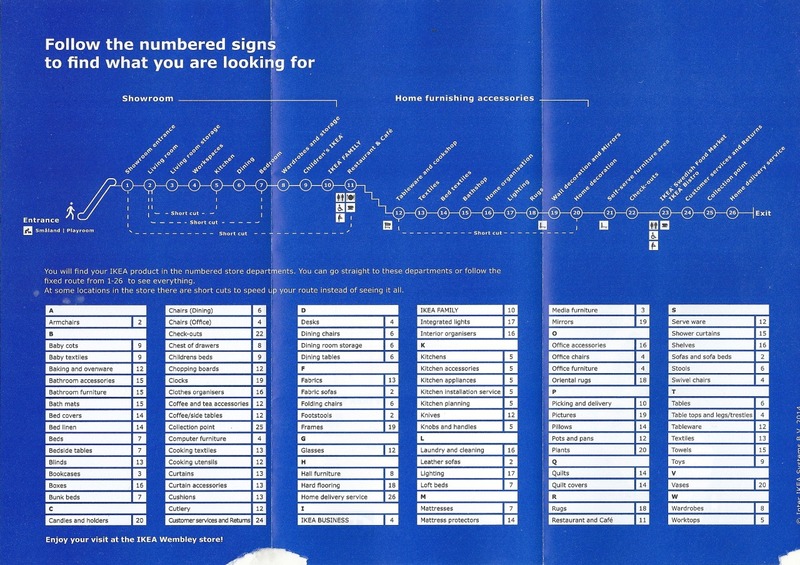 The maps are not designed in a way that allows you to find your location in the world, but instead they give a relative information of where is your station in the order of the Metro station system. Your location is relative to the route you are on. In this universe there is an order of actions that you have to perform in order to get to your destination starting with passing your ticket to enter. Once you arrive, you pass your ticket again and go back to the outside world. The Metro maps are the maps of a parallel world, that is connected to the locations outside, but also has existence of its own. You can travel under the city in a parallel universe that its whole reason of existence is to allow you to pass between places. 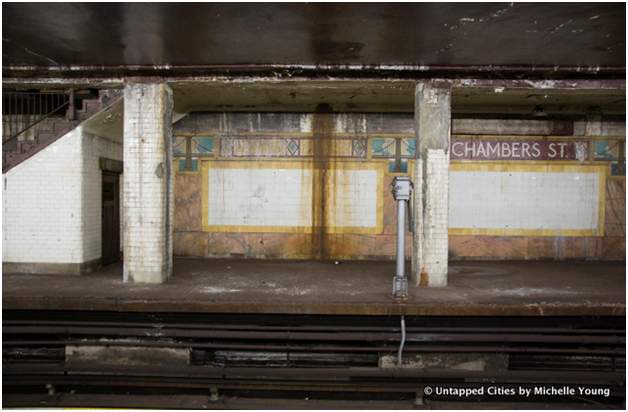 In New York, abandoned Subway stations are becoming a strange space in which things are changing and transforming according to time. When we step out of the metro, and in our way out we see the decorations on the wall, it’s clear for us that they don’t try to illustrate the outside world. Why do we still relate ourselves to those maps? 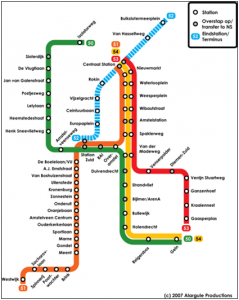 We know what it is but we don’t understand it, we recognize it as a metro map but we cannot read it. Maybe the motive of fantasy that they hold, the fact that they are almost something familiar, but not completely, is what gives it its power. Is it possible that the way the decorations communicates might change with time? when we look back at something in time, we might not understand the meaning of it, but this appearance of something that it constructed by rules might give us the feeling that there is a meaning hiding behind the unknown language. An example for this can be the hieroglyphs found inside the pyramids in Egypt. No one had used the hieroglyphs for more than 1,500 years, but since discovered, people knew that the hieroglyphs are not only decorations on the Egyptian kings’ grave tombs. Even though people believed that the hieroglyphs has a meaning, they were decoded only after hundreds of years, with the discovery of the rosette stone that was found in 1799. The stone is inscribed with three versions of a decree issued at Memphis, Egypt in 196 BC during the Ptolemaic dynasty on behalf of King Ptolemy V. The top and middle texts are in Ancient Egyptian using hieroglyphic script and Demotic script, while the bottom is in Ancient Greek. 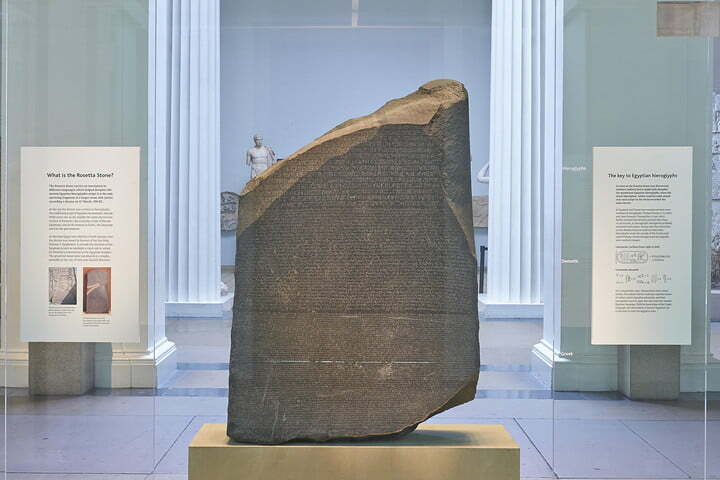 As the decree has only minor differences between the three versions, the Rosetta Stone [x] proved to be the key to deciphering Egyptian hieroglyphs. Maybe in hundreds of years, the cultures following ours will come across those Metro decorations that has the quality of a secret map or a secret language, and will try to find the meaning lying behind those vague maps. Maybe when that happens, they would be able to find their own Rosetta stone [x}, and give new life to our symbols, that will receive a new form and meaning.